All three workshops will be held on the Iowa State campus in 210 Bessey Hall (2200 Osborn Drive, Ames, Iowa) from 1-4 p.m. on April 1, 8 and 15. Please register online. Click on "new user sign up" to begin making a reservation. Registration cost is $50 per person. Free parking is available near Bessey Hall in Lot 14 on the east side of Wallace Road. 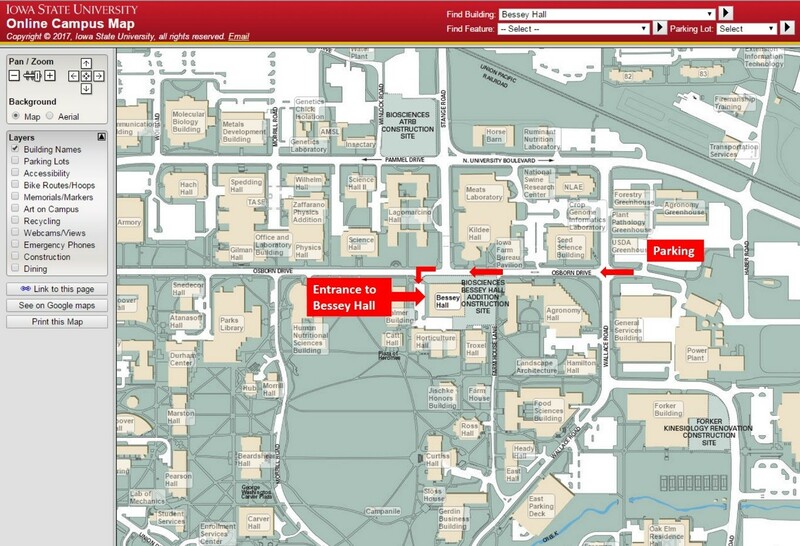 See the map with parking area marked or check the online campus map.